Goldbugs got excited recently when the gold stock to gold ratio turned up sharply after the gold price consolidated sideways subsequent to breaking up from a downtrend. Past episodes have been bullish signals for bullion prices. 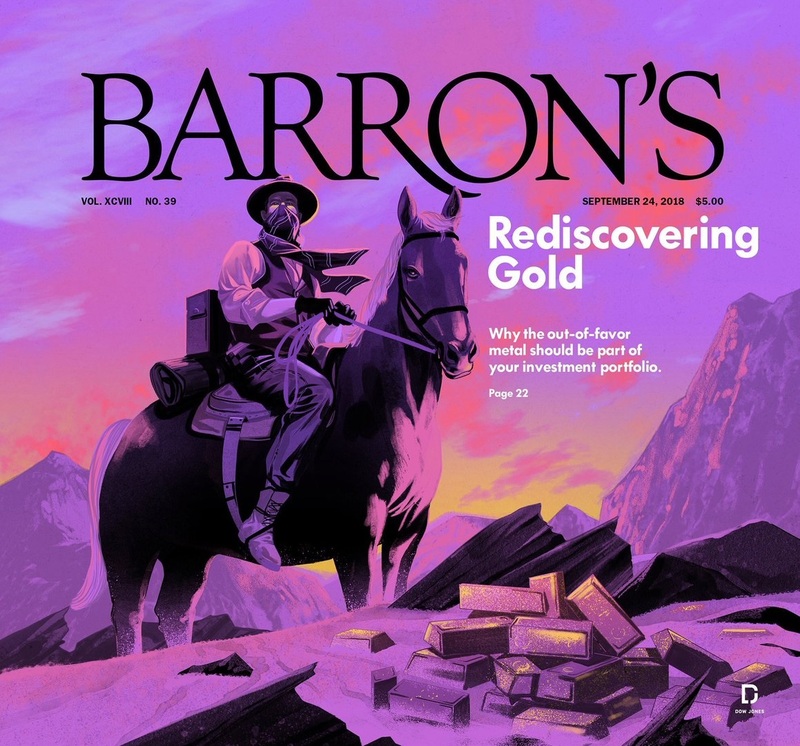 On the other hand, the front page of Barron’s may also be a contrarian magazine cover bearish signal. When analyzing the price of gold, it is important to distinguish between traders and investors as they have different time horizons. From a trading perspective, a long-term track record of some key indicators shows a constructive outlook. As the chart below shows, the % bullish stocks in GDX is just below 17% (bottom panel), and past readings indicate low downside risk for the price of gold. 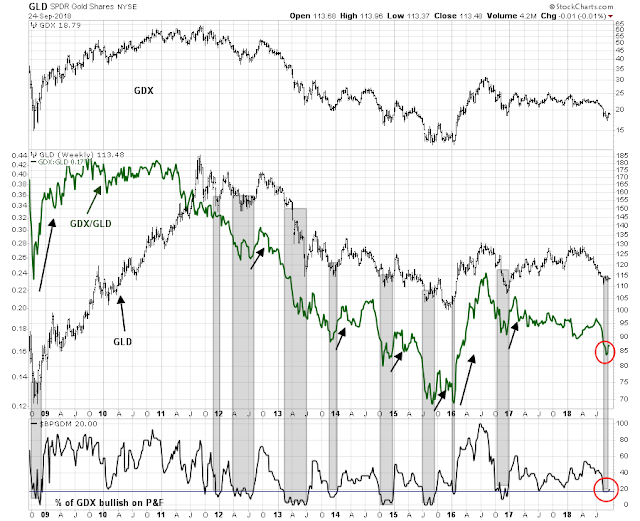 In addition, a rising GDX/GLD ratio when % bullish was low have coincided with gold rallies. 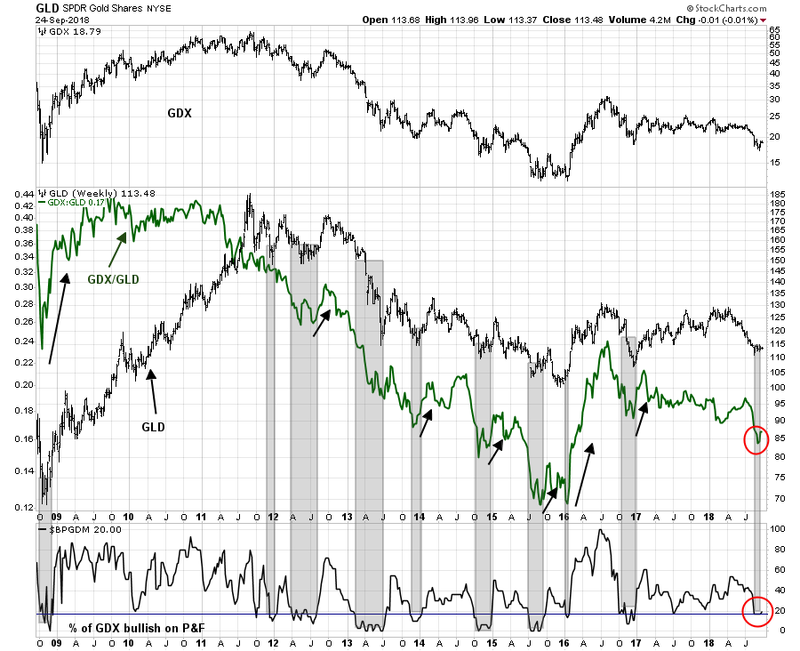 The bad news is GDX/GLD spikes have also thrown off a number of false positives under current circumstances. These conditions make me cautiously bullish on gold. While I have no positions in either gold or gold stocks, if I were to try and participate in a potential rally, I would go long with tight stops in case the GDX/GLD spike turns out to be a false one. There are reasons to be cautious. Gold in Chinese yuan (CNY) has been flat for the last few years. 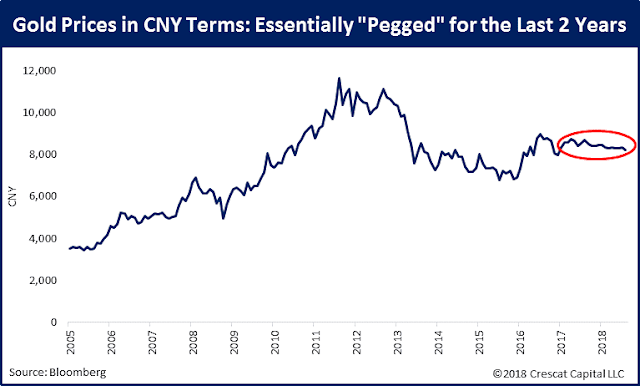 If that relationship were to hold, a rising gold price would imply a rising CNY against the USD. How plausible is that scenario under the current conditions of an incipient trade war? 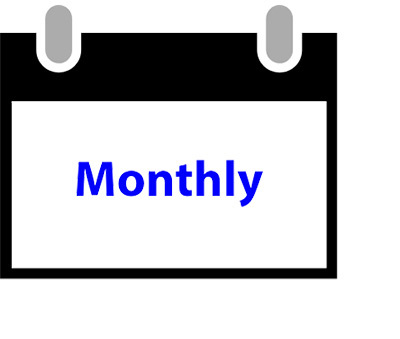 The coming week has a number of binary market moving events. The FOMC meeting will conclude on Wednesday with an announcement of a likely rate hike (see FOMC preview: Prepare for the hawkish surprise). As well, Trump will address the UN General Assembly Tuesday, and he will chair the UN Security Council on Wednesday. AP reports that he is expected to reiterate his “America First” policy, which could raise trade or geopolitical tensions and spook markets. The market reactions could be either USD bullish, which would be gold bearish, or vice versa. Saturday will see a couple of important final deadlines. Ir will be a deadline for a Canada-US NAFTA agreement with a text that the Trump administration can present to Congress for approval. As well, the US federal government will shut down after September 30 if Trump carries out his threat to veto the Continuing Resolution presented to him by Congress, as it does not contain funding provisions for his wall. 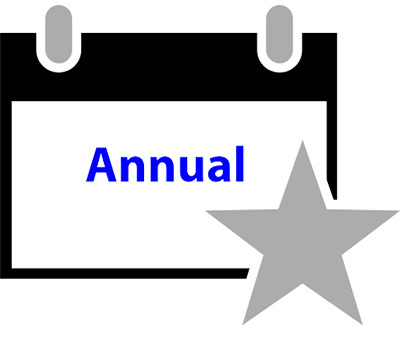 From a longer term perspective, here is what investors should consider. If gold were to act as a hedge against rising inflationary expectations, when are inflationary expectations likely to rise? 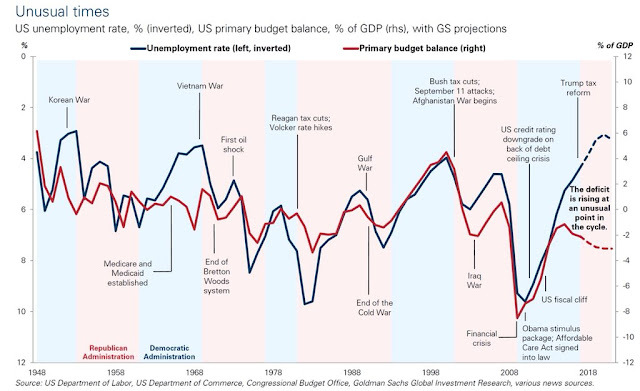 This chart from Goldman Sachs shows the unusual circumstances that we see today, where Washington has enacted a pro-cyclical fiscal stimulus, even as unemployment is falling. 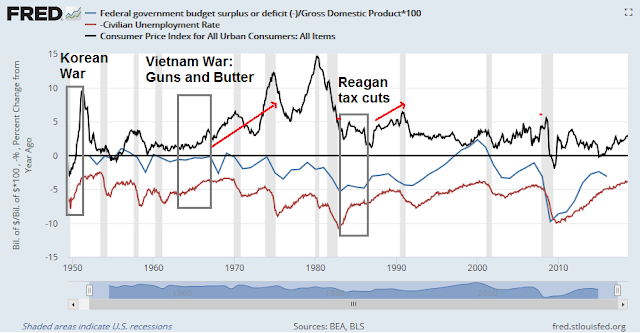 In the past, fiscal deficits have coincided with rising unemployment (inverted scale), not falling unemployment. That is likely to be inflationary, right? I performed the same analysis and added CPI into the chart. Past episodes where the government has enacted a fiscal stimulus during periods of falling unemployment, such as Johnson’s Guns and Butter policy during the Vietnam War, and Reagan’s tax cuts, have seen inflation rising in the subsequent economic cycle. Let that sink in for a minute. Fiscal policy effects on inflation are not likely to show up immediately, but in the next cycle. In that case, investors should be buying gold and other inflation hedges at the bottom of the next recession in anticipation of accelerating inflation. Historically, the die-hard deficit hawks have been Republicans, but they have been largely silent when the last round of tax cuts, or fiscal stimulus, was enacted. So what would happen under a scenario where the Democrats regain control of the House in 2018, and the White House in 2020? You will hear a lot more about Modern Monetary Theory, or MMT. Consider this Barron’s interview with Stephanie Kelton, who is a leading advocate of MMT and advised presidential hopefuls like Bernie Sanders. Stephanie Kelton, an economics professor at Stony Brook University on Long Island in New York, has a radical new way for thinking about the economy: Governments that print and borrow their own currency can’t go bankrupt, she says, and the current U.S. budget deficit is, if anything, too small. Kelton, 48, explained to the room in Kansas City that the government budget is not like a household budget because the government prints its own money. But the problem is that Washington always wants to know how to pay for new programs. That’s a problem for you, she says she told her listeners, because the conventional wisdom in the capital is that money “grows on rich people” and you pay for nice things by taking it from them. “Don’t look at me,” she instructed her audience to tell lawmakers. “That’s where the money comes from. And you point at the Treasury. You point at Congress.” And she won the room over. Insisting that government spending comes from taxes, she says, puts the rich at the center of American policy-making in an unhealthy way. And the very rich, Kelton’s experience shows, are pleased to hear that you don’t have to tax to spend. When I worked on the Hill, one of my favorite exercises was to find elected officials, staffers, and ask them if you had a magic wand, and you could wave it, and eliminate the national debt tomorrow, would you do it? Of course. Who wouldn’t do that? Yes, I mean, the quickest “yes” you ever got in your life. OK, what if I gave you a different wand, and I told you, you can wave the magic wand, and you can eradicate the world of U.S. Treasuries. There won’t be Treasury notes anymore. They’ll just all be gone. How many members of Congress, would do that? They looked at me with a total blank stare. Expect more discussion of MMT in the next few years. Budget deficits are likely to worsen, not improve. Whatever happens, a bullish bet inflationary expectations in the next recession is likely to be a winning one. I think what gold is showing is classic bear market behavior. Right now fiat currencies are being printed like crazy but gold goes meh…Bitcoin went crazy in 2017, how come gold didn’t? Is it bear market mindset? People can say gold can’t be used for transactions, but what is that Canadian company, GoldMoney? You have a debit card I guess with your gold in their vaults and you use the card. So to me it is a mystery. When all the big players are printing there is no sound currency to really go to for safety, but if China or the Eurozone get their act together then I would expect trouble for the USD. Eventually as the dollars work their way into the economy through entitlement spending we should see more inflation. Right now from what I read most of that money is just sitting in bank reserves so it does not get into the economy. Bear market is my guess. Supposedly the bear goes on for 20 years in which case it isn’t over, but of course since gold had a fixed price we can look at 1980 to 2000 as a 20 year bear…not the exact years could be 81 to 01. 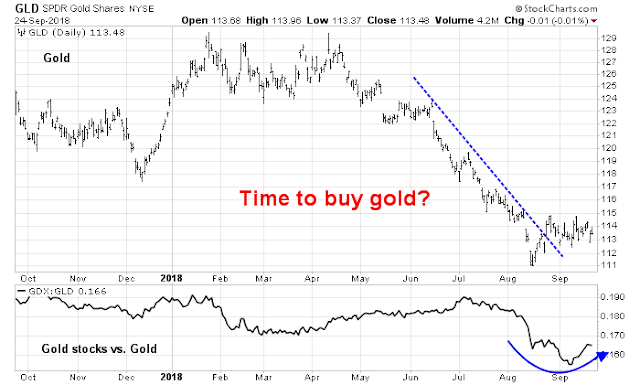 There is an irony that when you buy gold for safety, if you are leveraged otherwise, if the market really tanks, you might have to sell your gold at a bad price to cover other losses. Personally I prefer silver, but it too is in a bear market. My humble brain really does not understand Modern money theory, as put forth by Stephanie Kelton. I doubt debt can be both an asset or a liability, on one side of the ledger. It is voodoo economics, for crying out loud. Liability: Government owes money, in the form of Treasury paper. Asset: An investor, e.g. you, owns that paper. Hence, wiping the national debt with a magic wand means that those T-Bills, etc. that you own would also evaporate. While I don’t necessarily agree with MMT, but that’s the explanation. “They looked at me with a total blank stare.” Probably shocked at how she was caught up in the latest weed craze. Or maybe she just wants political attention. I think many countries now want to subvert USD hegemony and so I think printing money will lead to massive depreciation. Ray Dalio also mentioned a 30% depreciation at or by 2020.